Nah... there's already lots of people with upgraded fuses on the stock wiring without issues. This is the right way to do it. Fuses protect the wiring from overheating. Why risk burning up your nice car?! I did this on my Elise--not much trouble at all. If anyone who just retrofitted with a higher rated fuse truly understood what was happening as they pushed that horn button I am reasonably sure they would not do it. Why take such a risk. I know what you are saying, but given that the horn isn't used continuously(except as noted in jokes above), I don't think it's worth it. In theory, you're correct, tho. It's obvious I need to "re-do" the mod by replacing the solid core wire with #12 stranded wire. Currently I have wires running from + and - posts under the (driver side) acess panel to the relay and the original wiring is used as the trigger. Yes this is an 07 Exige S with dual oil coolers. Acessing the OEM horn was a HUGE PITA. I ended up cutting the wires and unscrewing to get the nut loose. Electrical is not my stong suit so any additional help would be great. 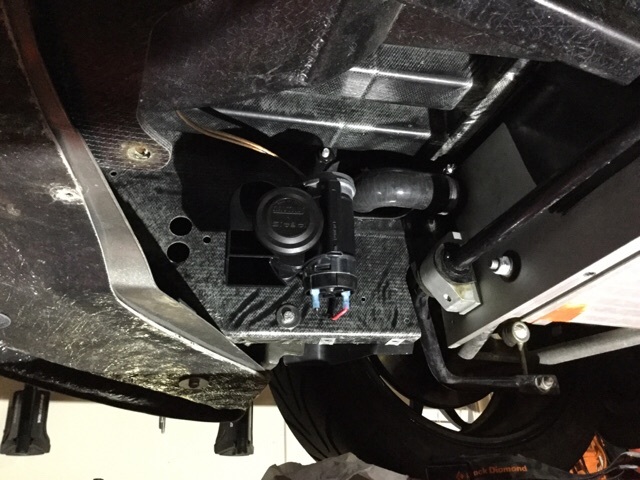 Specifically, how do I ground out a wire on this car when the horn is located in the crash structure approximately where the OEM horn was located? Any suggestions? Do I just find a bolt that is connected to the frame? Also if memory serves me correctly, I run a wire connected to the + post to the horn (right??) and then the other wire to ground. Or is it the other way around? I always get confused as to which is hot and which is ground. Thanks in advance for youir help. Several of us truly understand it and are still unconcerned. Mine did not take anywhere near 90 seconds to blow. I suspect Johnny's didn't either...who blows their horn for 90 seconds? The wife and I were at a stop light in the right lane. Next to us was a dump truck with a trailer that decided that he wanted to turn right. It was headed for the left side of the front end and I hit the horn. Whether or not it was 90 seconds is debatable, but I can tell you in a situation like that, it sure felt like a long time because all you are thinking is "Oh crap, he's going to crush us and the car." I now keep a secondary horn in the car. We are causing global warming, aren't we? I bought the horn from Griots....while I was buying their vaccum. I use the vaccuum in the computer business. Works great. Anyways..I gave up on the horn when I could not get access to it because of the twin coolers. I looked for a post on the install. Anyone have a link? Here's my write-up on my horn installation. And you were doing such a good job of not getting involved this time......it looks like they got the best of you after all. Remember, these guys are posting that changing a fuse to a higher amperage than the wiring/circuit allows is regarded as an upgrade! Actually, besides the possibility of overheating the wires (yes, it's not really that much of a problem), using a larger gauge wire and fuse will allow the air horn to draw the maximum power. Air horns use a small air compressors to create the air flow. More power, and the compressor runs stronger and faster. The result is a louder horn, and a longer lasting horn. The wiring that you want to use is shown in my crude drawing below. Basically you use the stock Purple with Yellow tracer horn wire to trigger the relay. Connect the wire to pin 85 or 86 of the standard relay - this is the relay coil circuit. Connect the other pin (86 or 85 - which ever you didn't plug the other wire into) to ground. This can be the factory horn's ground wire, a bolt on the chassis, or the battery negative post (on the Exige). 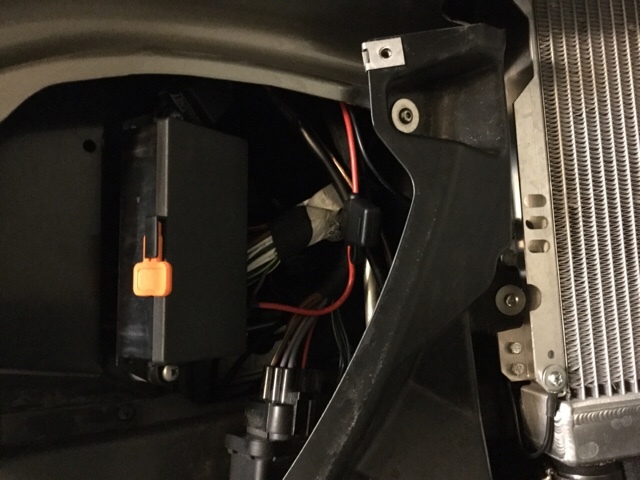 Then you connect a battery positive source (the battery post on the Exige or some other source on an Elise - some tap into the power under the dash, or the power window 20 amp circuit) to pin 87 on the relay. Connect pin 30 of the relay to the air horn's positive connector. Connect the air horn's negative connector to ground, or the battery negative post on the Exige. Don't connect it to the original horn ground wire - just as the positive wire needs to be big enough, so does the ground. On other cars I've done this wiring to, I mount the relay up near the other fuses/relays in the bay. I tap into the power, add an in-line fuse, and connect to the relay. Then I run three wires down to the horn area. Two are naturally the horn Positive and Negative wires which I connect to pin 30 and ground at the relay end. The third wire is used to plug into the OEM horn wire, and brings the "signal" back up to the relay (connected to pin 85). I connect pin 86 to the same local ground that I used for the horn's negative wire that I ran. Doing it this way does the least harm to the OEM wiring - it lets you remove the modification and return things to stock if you should ever need to. Mounting the relay up by the fuse box also keeps it up out of the road grime and water. "Physically" you could mount the relay in front with the horn, but "electrically" it doesn't matter where it's mounted - the more protected, the better. Incidentally, I always use a socket for the relay. Just using spade connectors on a relay is an easy way to mess up when you are plugging things together. It's also harder to diagnose a loose/dirty connection farther down the road. They sell relay sockets with "pigtail" wires already connected, but it's far better if you find one with the loose insert-able spade connectors and crimp them onto your own wires. This eliminates having to splice together extra wries, and makes for a much more professional installation. Here's my crude wiring diagram. Below that is the pin locations on a standard automotive relay (be careful, there are a few variations on this that are slightly different - but the standard is shown). My wiring diagram shows a relay already in the circuit. if this is true, isn't that a relay triggering another relay which triggers the horn?? Doing an install now, so would appreciate any info. 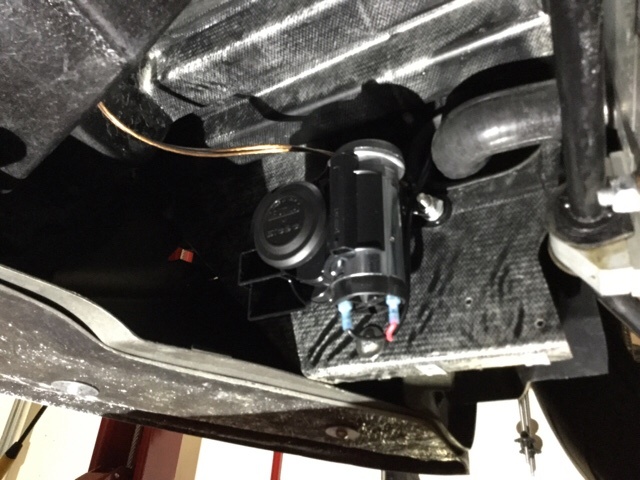 The existing OEM horn relay's wiring is not capable of carrying the current of an aftermarket horn, hence the additional relay. I used Tim's wiring schematic (above) to wire my Stebel in my 2009 Elise. I tapped into the 20A aux power line (Fuse #1) to power the Stebel and I grounded it to an extra bolt hole on my aluminum radiator (since I measured 12.9 V between the #1 fuse and the aluminum = same as aluminum chassis). I used both stock horn wires to signal the relay. The horn worked, but my engine cut-out and stalled while at idle the two times I have tried it. What have I done wrong? Picture of relay by the fuse box. You can see my in-line 20 amp fuse with the red positive wire. Picture of my horn wire in place. Cardinal#1, I recommend focusing on the path of travel of your horn circuit wiring. Try moving the circuit wiring around into a different temporary positions (zip-tie, rag, etc.) to see if the cut-out stops. My experience (based on process of elimination) was that the engine cut-out was caused by an electrical disruption that resulted from the horn wire being routed next to a sensitive electrical component.